Are you in the market to buy, but are limited by certain financial restrictions? You're not alone. The recent recession of 2009 has left a mark on the bank accounts and labor markets of today. Today's market is considered a "buyers market". What does this mean? It means that certain factors (inventory levels, home prices, days on markets, and supply versus demand) give buyers more leverage at the negotiating tables. In today's buyers market there are lots of sellers who will be willing to go a more non-traditional route with a sale. They are ready to move on and are eager to find a buyer. Sometimes it takes thinking outside the box to get the results we want. It's a great time to buy. Affordability is at a generational high and interest rates remain remarkably low, but if you have limited savings or a less than stellar credit report you might find yourself unable to enter the ranks of homeowner. In cases such as these it's a good idea to explore your options. 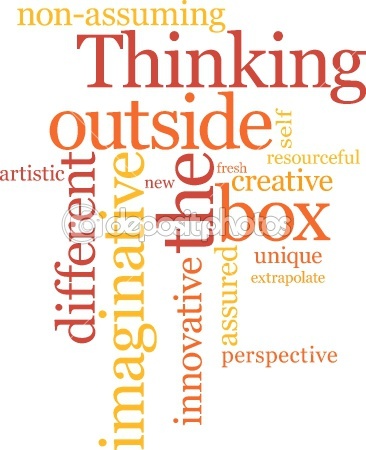 It's time to think outside the box. First, be sure to talk to your close family to see if anyone would be willing to help out. This could come in the form of a downpayment gift, a friendly loan for closing costs, or even a more financially stable relative offering to be your "lender." Family loans almost always come with exceptionally low or non-existent interest rates. These people know you best. Your credit report might say you're high risk, but they know and trust you'll make this kind of payment on time. They might even be willing to share in a "shared appreciation" or "shared equity" set up. This means they are part owners of the property. Their name is on the mortgage. When the time comes down the road to sell or tap into that equity, they are there for a payday. It's an investment opportunity. Next, check out what downpayment assistance programs might be available in your area, state, or even on a national level. Search online and ask your local real estate professional for tips on who to call and where to look. Additionally, be sure to visit www.hud.gov for tips and programs available through the federal government. Finally, talk to the seller about their thoughts on non-traditional sales. This might come in the form of a lease with the option to buy. You lease the home and pay a specific dollar amount each month. In essence the seller becomes your landlord. This gives you time to save up money for the downpayment. You could arrange to buy the home then in a year or several years down the road. If the seller is generous they may even put that monthly "rent" payment towards the final amount of the home. If they aren't interested in this option, see if they would be willing to serve as the lender for your home. You make payments to the seller instead of a bank. This will generally only work if the seller is in a financial position to wait to get their money. There are options out there no matter your situation. Be sure to research the options and decide which path is right for you. Red, White and BOOM 2012 Columbus, Ohio!